Fans of Lara Croft are going to get excited with this one, as it seems as though the new Tomb Raider game entitled Ascension will have a release date sometime in 2011, leaked information has revealed. We have a number of reasons to believe that Tomb Raider: Ascension is in development and coming next year. First with this image showing a LinkedIn profile displaying the title of the game and 2011 in brackets next to it. The username has been blurred for obvious reasons. Click the image below to see the full sized image via Systemlink. But that is not all. If Tomb Raider fans have their brains tuned in correctly, they may also remember a fan film from 2007 going by the same name, that was based on a story about Lara Croft discovering her past, that brought us up to speed with how it all began. You can see a teaser trailer for it here. And if that wasn’t enough, we have one more shred of evidence for you that concerns next months Game Informer magazine. 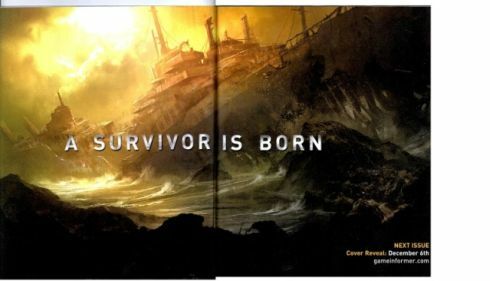 The next issue will be made available on December 6 and showcases an image of a shipwreck, and if you cast your mind back to July 2009, you might remember some leaked concept art from an apparent Tomb Raider game that shows a young Lara Croft on a Japanese island after an apparent shipwreck left her stranded there. All we knew at the time that the project was entitled ‘Downfall,’ and if we think about it, Ascension is quite the opposite to that title. Infact, it’s almost the complete opposite making Tomb Raider: Ascension the obvious choice. Are you excited for the return of Lara Croft and Ascension? Keep an eye on that Game Informer magazine for more info. But they spelt 'ascension' wrong on that profile. How can we assume it's legitimate if they can't spell?